Opening a regular meeting of the Higher Church Committee on September 19, 2014, His Holiness, Patriarch Kirill of Moscow and All Russia, pointed out the importance of encouraging the missionary work of the Russian Orthodox Church in the regions. “My last trip to the Far East has once again provided me with a lot of thought-provoking material on the condition of our missionary work and its top-priority for the Russian Orthodox Church,” the Patriarch stated. Speaking about his trip, the Primate of the Russian Orthodox Church mentioned that the development of Orthodox mission in the Far East was difficult in the pre-Revolutionary period due to objective reasons. Besides, some regions of the Far East became parts of Russia only in the middle of the nineteenth century. That is why the construction of churches and monasteries was not as fast as in other regions. “And then these churches and monasteries, the number of which had already been low, were completely destroyed after the Revolution,” His Holiness, Patriarch Kirill, said. The Patriarch pointed out that in the Far East religious life suffered the most in the whole country. For example, to the east of Irkutsk there were only one church in Vladivostok and a little parish in Yakutsk for many years. “In other words, people lived without any spiritual enlightenment and teaching of the faith,” the Patriarch added. Although new possibilities appeared and the restoration of churches, monasteries, and theological schools began in the 1990s, the main effort was put into the rebirth of the Orthodox Christianity in the capital and regions in the west and central parts of Russia. Despite the spiritual isolation, the religious institutions in the Far East have strengthened. 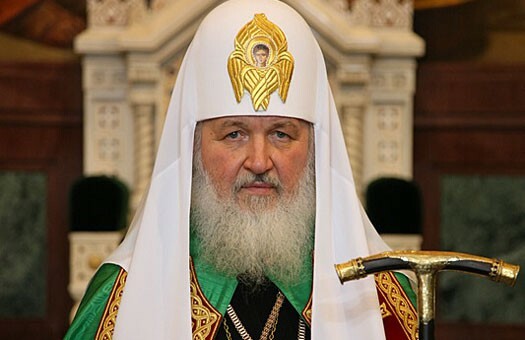 His Holiness, Patriarch Kirill, told those present about the situation in some dioceses: “The construction of twenty new churches in the Kamchatka Peninsula will almost solve the problem of Orthodox churches in the region, at least considering the current demographic situation and the people’s settlement. A project aimed to build thrity churches is being actively implemented in the Khabarovsk Diocese. Considerable steps have been taken in the Birobidzhan Diocese. Although it is very small, it is dynamic and people there are very active, and the Archbishop has done many things there. For example, there are marvelous church schools, parishes, and a diocesan hospital, which is a rehabilitation center in honor of St. Panteleimon. His Holiness, Patriarch Kirill, told those present about a meeting between a minister of the Russian Federation responsible for the development of the Far East, high officials of the subjects of the Russian Federation in the Far Eastern Federal District, and hierarchs of the Far Eastern Diocese. The meeting focused on a number of religious, social, and other issues that are topical for the Far East. Likewise, the meeting discussed the condition of the Small Nations of the Far North and Far East. His Holiness, Patriarch Kirill, instructed that a document be prepared based on the results of the trip to the Far East that should include arrangements accepted at the meeting between hierarchs of the Far Eastern Diocese and officials of the Russian Federation subjects in the Far Eastern Federal District by the next meeting of the Higher Church Committee. The Patriarch entrusted the preparation of this document, which should cover the main aims and projects in church activities in the Far East for the short run, to Archpriest Vsevolod Chaplin, Chairman of the Synodal Department for the Cooperation between the Church and Society. However, the document should primarily focus on the development of missionary work.